This is the terrifying moment a child came within inches of death after running from behind a bus and into the path of a massive lorry. 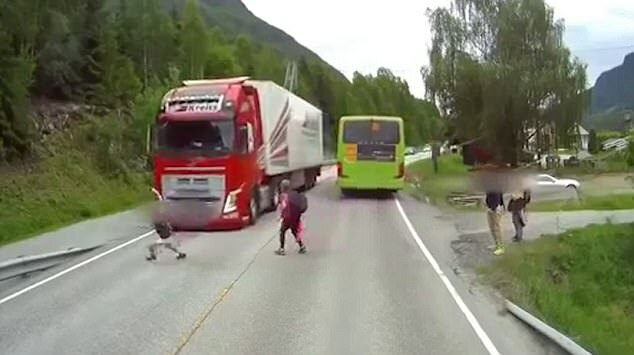 Heart-stopping dash-cam footage shows the boy getting off the bus in Høyanger, Norway, with a group of four other youngsters. The children initially wait at the side of the road but the boy - wearing white shorts and a dark top - wanders out into the road.